Véronique Tadjo is an internationally acclaimed African francophone writer who has worked in a number of creative fields throughout her career. In addition to her four other novels (Far From My Father being her fifth), Tadjo has written three volumes of poetry and a number of children’s books. 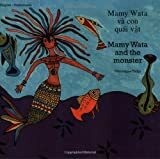 One of these books, Mamy Wata and the Monster, won the UNICEF Prize and was one of only four children’s books chosen for African Writing Online’s list of Africa’s 100 Best Books of the 20th Century. She also won the Grand prix littéraire d’Afrique noire in 2005. A self-taught painter and illustrator, Tadjo explores the realm of visual as well as literary art, providing artwork for many of her children’s books. Tadjo has never felt compelled to choose one of these various methods as her primary mode of expression. Her visual art and literary work feed into each other, providing different ways of telling the same story. For her, the act of creation – in whatever form – is what matters most. Tadjo was born in France and raised in Côte d’Ivoire's capital city of Abidjan. Since then, she has lived in many places throughout Africa and throughout the world, including Lagos, Paris, and Mexico City. Tadjo considers herself pan-African, believing that her identity stems from the African continent rather than a particular African country. She is also interested in the diaspora. Her works explore these ideas and themes through their imagery and allusions, resulting in rich, multilayered texts that represent the intricacies of daily life and the multiplicity of identity. In the past few years, Tadjo has facilitated a number of creative writing workshops throughout Africa. She currently lives in Johannesburg, where she is the head of the French Studies department at the University of the Witwatersrand. Nina had thought that sunset would bring her a bit of peace. Yet after sending streaks of purple and gold across the sky, the orb had begun to melt away, sinking below the horizon. Now, it was over. Nothing remained but darkness, dense and troubling. She turned away from the dark hole, pulled down the window shade, reclined her seat, and tried to sleep. The plane’s wings cut through the night. Anguish rose brutally in her. In just a few hours she would be there, at the house. But without him, without his presence, what was left? Walls, objects, what else? She would need to reconsider everything she had taken for granted. “What makes a country home?” she had asked Frédéric the evening before she left. Yes, memories . . . the feel of the sky, the taste of the water, the color of the earth. Faces. Moments of love and loss. A home was all of that. A rainbow of sensations stored up as the days passed by. But can one rely on memories? The country was no longer the same. War had left it scarred, disfigured, wounded. To live there now would mean forsaking those outdated memories, ideas from another time. She had been gone for too long. How could they not hold it against her? She had thought that she could travel freely, roaming wherever she chose until it was time to return. Come home? Then everything would be just as it had always been, each thing in its place. All she’d have to do is to drop her bags and pick up her life, right where she had left it. She’d be welcomed with open arms, all the richer for her travels. But that was before the war, before the rebellion. Everything had been turned upside down, had crumbled away. The full force of her exile hit her like a whip and sent her reeling. Nina woke with a start. She must have dozed off. Her heart was pounding. Where was she? Her feet were swollen, her body ached. I have to get up, stretch my legs, she thought. She got out of her seat. She was careful not to bump into the sleeping passengers. Some were curled into balls, their mouth open or their nose buried in their neighbor’s shoulder, others with arms sticking out from under blankets, like the stiffened limbs of badly wrapped corpses. She wobbled as she walked, her eyes fixed on the light at the end of the passageway. A flight attendant was organizing trays of food. And what if this was really her fault, if she had deliberately set herself apart from the others? Now she was going to find herself face to face with everyone she had left behind years be fore. How would they see her? She had thought, This isn’t how my life should be. Why am I so far from him? She had felt a great tiredness in him, his fiery resolve squelched by so many dashed hopes. Not fear, just the feeling of having failed in what he set out to do. Nina’s head began to nod. She thought she would finally drop off into a deep and healing sleep, but she was distracted by the harsh glare of her neighbor’s overhead light. The man was watching a film she had already seen, the story of a ship sinking at sea, a little like the Titanic. A handful of passengers decide to set out, leaving behind the remaining thirty or so who were gathered in a watertight room. They head off into the bowels of the ship, trying to find a way to the surface. That’s how the story begins. Nina wondered why they so often showed disaster films on planes. Was it to exorcise people’s fear of flying? Her head was spinning from lack of sleep and the incoherence of her own thoughts when the image of what awaited her in Abidjan suddenly appeared. She wished with all her might for the return of daylight. To be done with this torture. To feel solid ground beneath her feet, even if there would be no joy in her heart. The sun had just reappeared when the plane landed. The heavy door opened and, despite the early morning hour, the passengers were suddenly engulfed in a wave of heat that rushed into the cabin: the country’s burning breath. While she waited in the immigration line, Nina wondered who would be there to greet her. In the plane she had been careful to avoid catching the eyes of the other passengers, for fear of being recognized by someone, which was not unlikely on a flight to Côte d’Ivoire. Anything not to have to pronounce the words that told of his death. Not now. Not yet. “How many days will you stay?” Nina hesitated. “I’m not sure, about a month. . .” Suddenly the man’s face lit up. “Are you the daughter of Dr. Kouadio Yao?” he asked, holding the passport open in front of him. “Yes,” Nina replied apprehensively—she wasn’t quite sure where he was heading with all his questions. Nina picked up her suitcase and headed toward the customs agents, who were chatting among themselves, for once ap parently unconcerned with what was going on around them. She opened and closed her bag fast, before any of them could change their mind. She was sweating profusely. Her clothes were sticking to her skin. She regretted wearing socks and a longsleeved top. Ahead of her, the exit: the point of no return. A tightly packed crowd was waiting in the arrival hall. She looked all around. Not one familiar face. Disoriented, she moved mechanically toward the exit. Suddenly someone appeared at her side. Without waiting for an answer, the young man grabbed her suitcase. That’s when she heard Hervé’s voice. “It’s no trouble, I’ve already got it,” he answered, clearly unwilling to let go. They turned their backs on him. Nina hugged everyone. Their faces were somber and they were dressed in black. Chantal, the youngest of the group, began to cry. “That’s good,” she murmured, before returning to her own thoughts. No one was speaking, for fear of disturbing her. Only Chantal’s muffled sobs broke the silence. Nina couldn’t help but feel irritated. Deep inside, she still harbored hopes that this was all just a bad dream. The city passed by before them. Nothing seemed to have changed. The same crowded streets, the same noises, the same buildings. Everything in its place, even though for her noth ing would ever really be the same. How could it be that the two people who mattered most to her were now gone, just like that? The city had known them. It bore their footprints. It had listened to their joys and sorrows, ensured they had their place in the unfolding chaos of life. Why abandon them now? “How will I ever be able to live in the face of such indifference?” She thought she had landed on a stage where the main actors had vanished and the pieces of scenery just didn’t fit. The sun was already burning the necks of the workers who marched along the road, single file. Some of them stopped briefly to grab some breakfast at roadside stands. Huddled close together, they ate at a table under a tree, their faces still bearing the marks of a night cut short. They dunked their pieces of bread into cups of steaming coffee, as the man serv ing them added more water to the enormous kettle, poked the fire, and washed the plastic bowls and plates. The workers had been on their way since dawn, leaving their families still asleep in narrow little rooms with tiny windows. At bus stops civil servants waited patiently in their clean clothes. Schoolchildren were there too, chatting and gesturing wildly. The girls wore white blouses and dark blue skirts, the boys khaki uniforms. As they came up to the Houphouët Boigny Bridge, Hervé slowed down. In front of them, a line of cars had stopped dead. Uniformed soldiers were coming through and checking papers. “Your papers, please,” ordered a soldier with the face of a kid and a machine gun slung over his shoulder. Everyone in the car handed over their ID card. Nina gave him her passport. “Don’t you have an ID card?” the soldier asked suspiciously. The soldier seemed to hesitate for a moment. He looked for his superior a bit farther along down the line. Seeing he was busy, the soldier turned back to Nina and stared her straight in the eyes. The soldier looked in the car again and stared at Nina. Then he stepped back and waved his arm. “All right, just go ahead!” Behind them, drivers were growing impatient. Most were heading to work, or taking their kids to school. The bridge now looked like a bus station. Several people had gotten out and were standing by their cars, with crossed arms and grim faces. Others waited patiently for their turn. Mothers tried to comfort their children, who were sitting in the back seat and bawling. Several taxis were blocking the way. Nina couldn’t believe it. Was this really happening in Abidjan, the city where she had always felt so safe? She turned her eyes toward the lagoon, so calm, so beautiful. The tall buildings of the city center rose majestically, their silhouettes reflected in the mirror of the water. They drove through the part of town known as the Plateau. Most of the banks were still closed, but some shops had begun to open their doors. How many times when she was younger had she wandered through these streets window-shopping? She and her friends had made the public garden their hangout. It was there that she had her first kiss. What was his name…? Roger, yes, that was it, Roger. She tried to remember his face, but the image was blurry. Two men wearing ties and carrying black briefcases hurried into a building. An elegantly dressed woman, her hair finely braided, emerged nonchalantly from a car as a young kid approached, obviously about to ask for some change. A taxi raced in from the left and, after fishtailing in front of them, stopped for a client standing on the sidewalk. A group of bleary-eyed street kids crossed at the light. Then the car drove by the skyblue cathedral. The huge marble statue that guarded its entrance was still imploring the Eternal One. Once they reached the main boulevard, Nina knew the house wasn’t much farther. She would have liked Hervé to do a U-turn and whisk her off someplace far away from the terrible truth she was about to confront. Her cousin, however, just kept going. After a few minutes, they came into the neighborhood. She saw their street, a thin strip of tar, bordered by low-slung houses and trees with thick tufts of green leaves. Two horn blasts. The watchman opened the gate and the car parked inside the yard, just where it always did. Her aunts were there, standing in the doorway. They hugged her tight, one after the other. “My child, be strong,” murmured Aunt Affoué. “Take heart…,” added Aunt Aya. Feeling the warmth of their embrace, Nina couldn’t hold back her tears any longer. She let herself go in their arms. Little by little, the two women led her inside. The house had been invaded. People were coming out from all of the rooms. Some familiar faces, some not. Nina hugged her relatives and shook hands with the others. Tall candles had been placed in the four corners of the living room. This was no longer the home where she had lived. Her father’s absence was too much for her to bear. After greeting everyone, she asked to go to his bedroom. The door was locked. Aunt Affoué opened it and then left her alone. The curtains had been drawn, but otherwise everything was as it should be. The bed had been made. Clothes were still hanging on the back of the chair. His glasses, watch, and wallet were on the bedside table. The room even smelled of her father, a scent she had known all her life. She lay down on the bed, her head buried in the pillow. The mattress still bore the imprint made over the years by her father’s body. She tried to get ahold of her emotions. Memories kept bubbling up to the surface. She remembered the last time she had spoken to him. She was in an airport, waiting for her plane, heading off on another of her many trips. She had called him on her cell phone. The connection had been so clear she felt like she was right there next to him. She was trying not to show her fears. The last news she’d heard on RFI—Radio France International—wasn’t good. She thought his voice sounded weaker than usual. Voices and bits of music filtered in through the phone. “And you, haven’t you found a new wife to take Mom’s place yet?” she asked, trying to sound lighthearted. He laughed on the other end of the line. She just had time to exclaim, “You’ll never be too old!” when the loudspeakers cut her off, loudly announcing her flight. A line of passengers was already forming at the gate. It was typical. Typical of her life. Of the whirlpool her life had become. Her last conversation with her father, and it had been in a soulless, public place, the people around her scattering to the four corners of the earth. How could she ever have believed, even for an instant, that telephone calls would make up for her absence at his side?